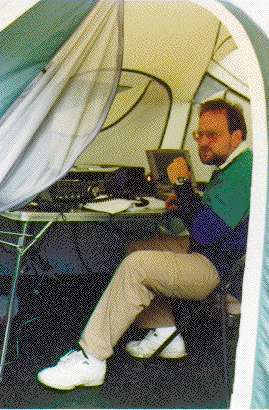 My first experience at Contesting was the January VHF Contest. I teamed up with Scott Honaker, N7WLO. We went multi-operator, rover class in a 35ft. 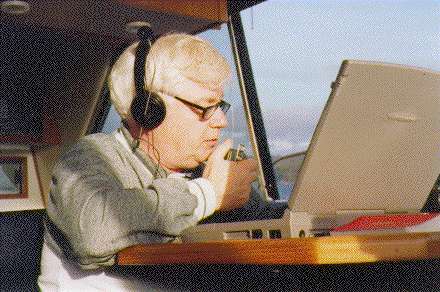 yacht going up and down Puget Sound contacting hams in Seattle, Tacoma, Olympia, Everett, Bellingham, Oak Harbor, Victoria and Vancouver, B.C. The sun shined bright both days. The water was calm for the most part and even though it was very cold, we were warm inside the heated cabin of the Yacht. I LOVED IT! LETS DO IT AGAIN! The annual ARRL June VHF QSO Party. It was surprisingly cold for mid June 3400ft. atop Mt. Anderson in Skagit County, Western Washington. We were surrounded by clouds both days of the contest. One generator supplied AC & DC to both stations located 300 ft. apart. Band sharing was a desensitizing experience. Direct line of sight radius from the mountain extended to 350 miles. Two contacts to Manitoba, Canada on 2meters were an unexpected bonus. British Columbia contacts were almost as numerous as the locals. Scott - N7WLO, 5th place in Westcoast Region. (Even after I hammered a nail through his 2meter coax. Hi, Hi.) 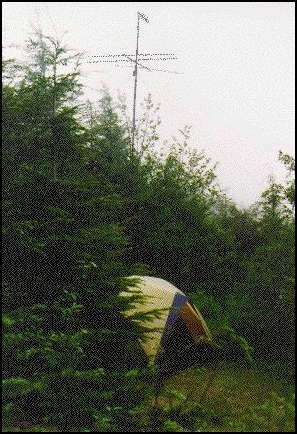 On the mountain, Scott's QRP setup was getting out as well as my 100watt rig. 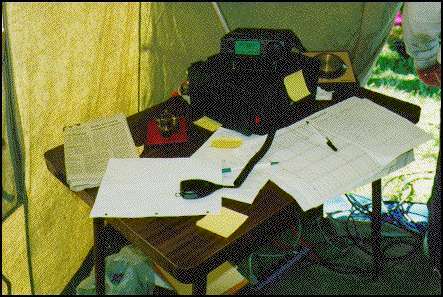 Scott also had a bunch of 440 contacts on his Yaesu. I had two! Scott's set up was so cool. Everything in it's place. 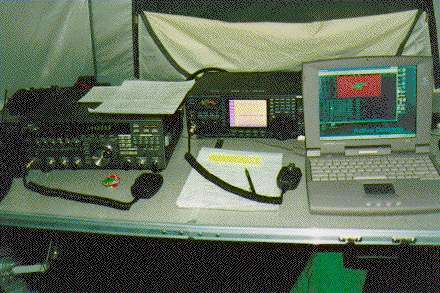 Yaesu FT-757, Icom 756, VHF contesting software! Too bad the 2 meter coax line was damaged. ;-) Scott still racked up 4,650 pts. in the QRP division.
. 2,916 pts. at 100watts. Should have stayed home. Did better in the September running only 5 watts QRP.